If there is a new doll or toy on the market that seeks to empower girls away from the narrow standards of imagination and physical beauty, you can be assured we will feature it! We have seen a number of independent toy manufacturers create designs out of sheer frustration of the lack of diversity in the toy aisle, especially when it comes to girls. Boys get Lego, GI Joe, cars, trains, planes and all the sorts of stimulation that sets them on a path of natural gravitation toward power from a young age. Girls get pink toys, pink clothes, Disney princesses, and the limited ideal that all they need to do to remain valuable in the world is be pretty and look for the nearest guy who can rescue them and fill in the blanks. Ok that’s a very big generalization, but it’s also not untrue. Toy brands like Goldieblox, dolls like Queens of Africa, and Lammily have done a far better job of filling in those gaps as they successfully combine reality with the idea that girls can do whatever they set their mind to. While Barbie still remains one of the most popular dolls (and toys in general) in the world, and while they are also trying to re-direct their harmful narrow messaging to reflect that of the empowerment trend, it is important to pay attention to the influx of smaller boutique brands rising up to offer an alternative to the slimline doll whose 150-jobs resume doesn’t exactly scream consistency or commitment. A new doll that is set to hit the market is Yuna, who is part of the newly-formed Dream Big Friends line that is focused on empowerment and inspiration, not looks. DBF was started by two friends who worked in the toy industry, who after becoming parents themselves saw the need a more imaginative play experience for girls. Yuna is the first in a line of forthcoming 10-inch-tall dolls designed to spark the imaginations of girls around the world to, literally, dream big. They didn’t want to limit their consumers by promoting one single ideal, such as super hero, or princess, but allow each buyer to come up with their own narrative of what the doll (and subsequently themselves) should be. “We did not wish to cover our dolls in makeup or introduce them in the latest high fashion trends. We wanted to allow each character’s unique qualities to shine through, packed with the basic things they would have on an average day when extraordinary things can happen. Our doll’s primary accessory is possibility!” says a description on a Kickstarter campaign which was launched to raise funds for the initial round of production of the dolls due out in 2016. 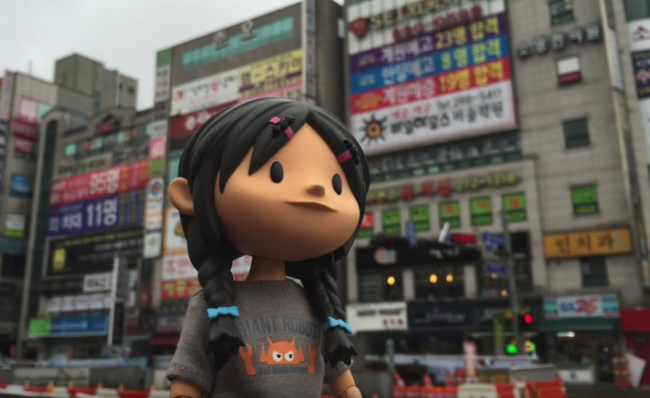 “The goal was to create a series of 10-inch-tall, articulated dolls based on characters that are as smart, funny, inquisitive and rambunctious as the kids we all know in our daily lives, and develop a story where these individuals live and grow. Out of that dream, Yuna and the Dream Big Friends were born as companions for kids all over the world.,” they added. 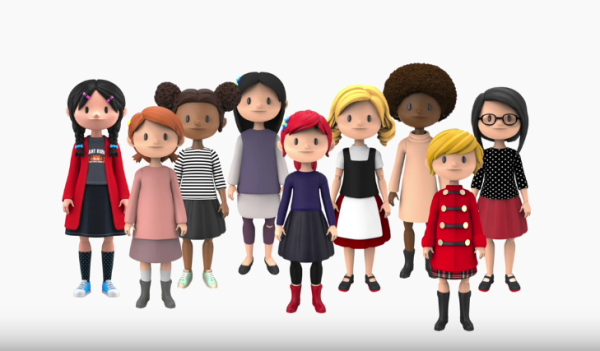 Each doll will come with a set of pre-designed personality traits in order to kick start the imagination process and promote the idea to young girls that they can be multiple things at once. Yuna loves robots, anime, tacos, K-pop, her cat, art, photography, Japanese food, and one day hopes to own her own rocket company which will go on missions to Mars. Already that list of traits breaks down any pre-conceived gender stereotypes of the kinds of things girls “should” aspire to, if we were only paying attention to society’s standards, that is. 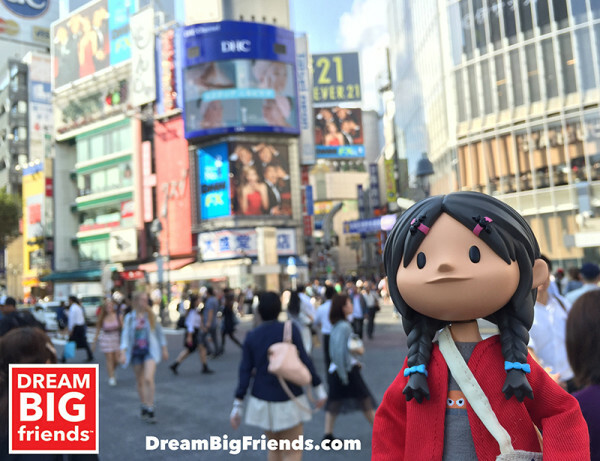 With the Dream Big Friends dolls, a whole generation of girls will have the chance to start life on equal footing with their male contemporaries who already have multiple options of empowering toys available to them. And just so we’re clear, although they want to move away from the pink princess toy aisle, Yuna is not by any means an anti-fashion doll. They just want to take the focus away from physicality, and allow girls to use their own creativity to design custom-made futures for themselves with a doll who isn’t bound by conformity. This trend of moving away from gender stereotypes in toys has reached fever pitch of late with the news that Target stores in the US will remove gender labels in the kids section, in order not to deter girls from buying what are typically known as “boys toys” and vice versa.Why should boys grow up thinking that dolls, easy bake ovens or fashion is something that will make them “less” of a man? To find out more about how the Yuna doll is made, how you can play a part in making the Dream Big Friends line come to life, and what the brand is all about, visit the Kickstarter campaign page. We’re excited to continue watching this trend of inspiration and empowerment happening in the toy market as we believe it is going to have a major impact on a generation of girls and boys in the future. We can’t wait to see the results! This is a fantastic write-up! THANK YOU!